As part of our service, here’s council on laminate care. At Baker Bros. we don’t just train our sales people on selling, we mentor them on serving. On doing whatever it takes to insure our customers have all the knowledge and understanding necessary to make a smart flooring decision. A decision that’s the very best for them, their home and their budget. While we may be the place “Where Fashion Meets Flooring” we’re also the showroom where service meets you every step of the way. Consider our installation service. We manage hundreds of flooring installations every week. Week in and week out. And our professional help and genuine caring doesn’t stop with the installation of your beautiful new laminate floor. The Baker Bros. installation experts have contributed to this website. 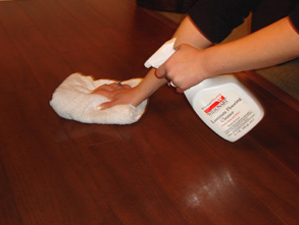 Below they have summarized many valuable tips on laminate upkeep that you can perform. Take care of your laminate flooring investment and it will reward you and your home for many years to come. So check over the following advice and be a little smarter about smart and durable laminate flooring. An occasional very light damp mopping is also suggested. 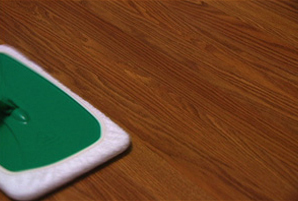 However, your laminate flooring can expand if excessive water is used while cleaning. Do’s and don’ts from the pros at Baker Bros. Consistent upkeep and periodic professional maintenance will keep your laminate flooring beautiful, inviting and durable for years to come. Look to Baker Bros. for dedicated and knowledgeable customer service during your laminate shopping experience and expert, precise installation later.